We’ve had a cactus plant sitting on our kitchen window-sill for the last three or so years; it hasn’t done much apart from growing a bit occasionally. 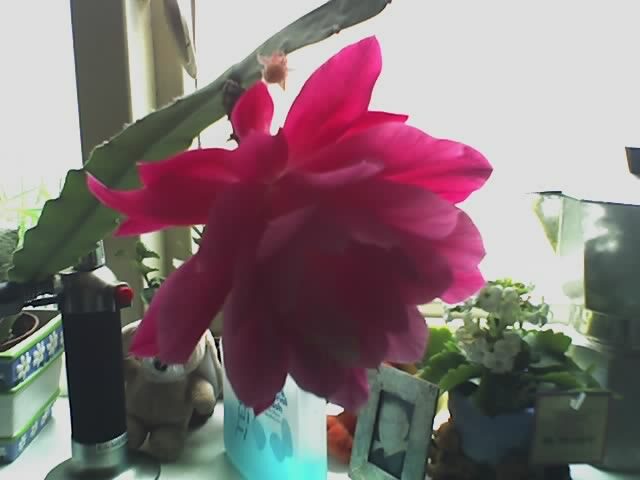 But after so much inactivity our unassuming cactus has decided to produce not one but three spectacular flowers. Based on past inactivity we probably won’t see anymore for a few more years so a photo seemed to be in order. Sunday was a slow day.